How should we teach history? A debate with top academics, chaired by BBC Cambridgeshire's Chris Mann. Earlier this year Education Secretary Michael Gove criticised "left-wing myths" about World War One and said they denigrated patriotism and courage by depicting the war as a "misbegotten shambles". His views were criticised by some historians. This debate will discuss how we should teach history in a globalised world and why it is important. BBC Cambridgeshire's Chris Mann chairs a discussion with Professor Evans, Regius Professor of History at the University of Cambridge, Professor David Cesarani, Research Chair in History at the Holocaust Research Centre, Royal Holloway, University of London, Katherine Edwards, a secondary school history teacher and Damian Collins, a Conservative MP, member of the All Party Parliamentary Group on Archives and History and Modern History graduate. 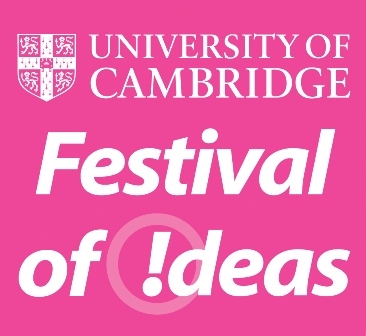 Pre-book from 22 September at www.festivalofideas.cam.ac.uk or by calling 01223 766766.